Anyone who has been following the music service and cloud industry saga is most likely aware that the winds of change blew in a storm front that has filled the sky with ominous clouds. The ever-changing business climate that the music industry constantly faces has reached the apex of an uncertain outcome. The four Major Labels have no doubt tried to embrace what is taking place currently and are treating the whole thing with kid gloves. The label relies on the artist to make money, music services rely on the labels and artists to make money, and the music cloud industry is stuck somewhere in the middle. While the future of the entire industry as a whole changes minute by minute, one thing is certain: Someone always comes out on top. “Leaked” or “Inside” information is almost moot since everything keeps changing. One good indicator of future events is the numbers. Short of a crystal ball, watching the value of these giant corporations gives good insight as to what will happen. If iTunes wins the “release” battle by going live first before Google, it is a safe bet that Google will still win the war. It’s not all about who gets there first, it’s about who is better. Google has been astute by not rushing and it seems they will just sit back and watch things with their service safely tucked in their back pocket poised to leap out when the moment is right saving “The best for last” and a lot of folks with be laughing all the way to the bank when the dust finally settles. 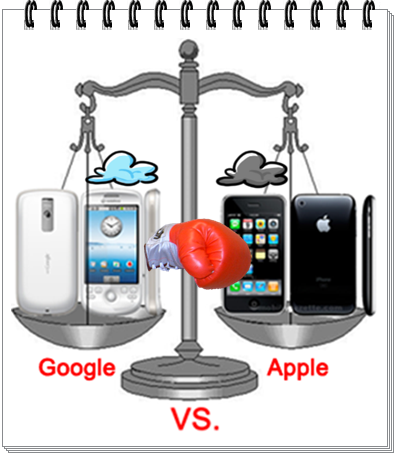 This entry was posted in A/V, about google music, Apple, business, Cloud, cloud app, cloud computing, Cloud Drive, cloud player, cloud services, Computing Industry, Data Storage, entertainment, Entertainment Industry, entertainment news, financial news, google music, investing, iTunes, mobile services, money, music, Music Business, music cloud, Music Industry, new technology, news, Record Labels, Recording Artists, stock market, stocks, top stories, Uncategorized, wall street, world and tagged apple itunes, entertainment technology business, google music, music cloud, music services, revenue leaders, world news. Bookmark the permalink.